© 2004 42" x 42" The unusual setting for the 6-inch album blocks in this quilt eliminates the need for sashing and borders. 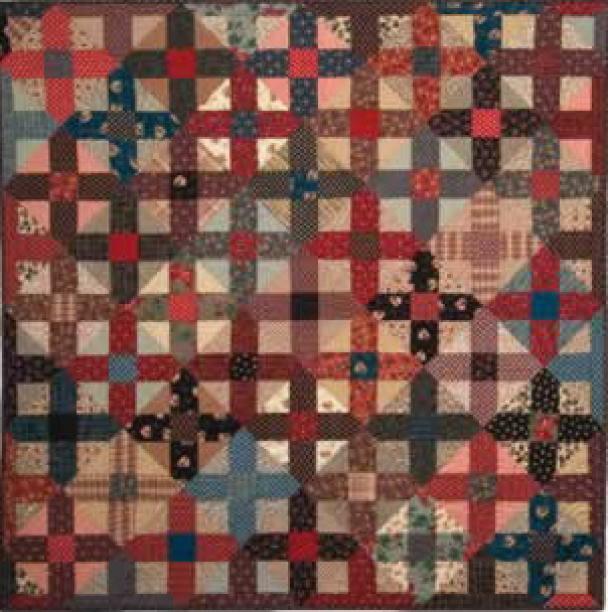 Partial blocks around the outside edge create the appearance of a pieced border. This quilt is named for me 'I am the whistler's wife. My husband whistles while he works, plays, thinks, drives, listens to music, mows the lawn' you get the picture!